A Perfect Circle welcomed 2018 with the release of ‘Disillusioned,” the second piece of new music from their forthcoming BMG debut. Listen to the song here: http://smarturl.it/DisillusionedYT. “Disillusioned” stands in stark contrast to “The Doomed,” the first track the band previewed from the as-of-yet untitled album. Where “The Doomed” felt “apocalyptic” (Rolling Stone) and the track’s video (http://smarturl.it/TheDoomedVideo) was “eerie” and “intense” (Revolver), “Disillusioned” strikes a more optimistic tone, urging listeners to connect with each other once again. A limited edition,10-inch single for “The Doomed/Disillusioned” arrives on March 9. The collectible vinyl has a dual pressing of both songs on side A and a screen-printed B-side. Pre-orders are available now: http://smarturl.it/APC10. 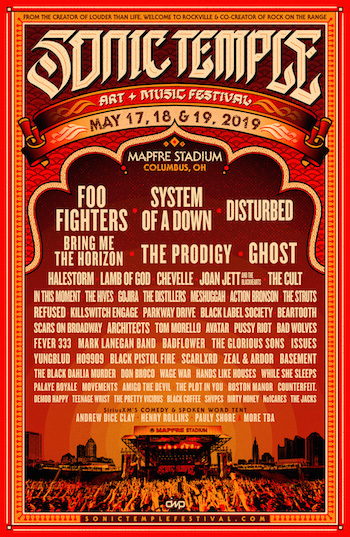 A Perfect Circle has confirmed a trio of U.S. festival performances for this Spring: Las Rageous, Northern Invasion and Rock on the Range which will be followed by the band’s first European tour in close to fifteen years (dates below).